Love this shot. 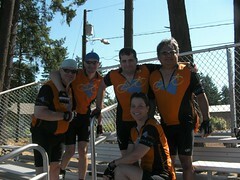 It's such a great thing that five people from New York just flew all the way across the country to ride bikes. What a great group of guys!